Willing to download all past papers for FSC part 1? 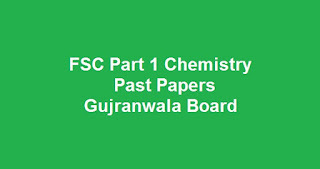 and past papers for Gujranwala board than check this article, we have uploaded Chemistry Past Papers for FSC Part 1 on this page by year and time of annual examination. If you want more past papers than search on www.TaleemWala.com and also for any question comment below.